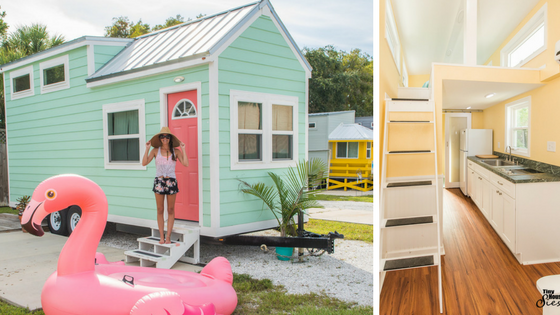 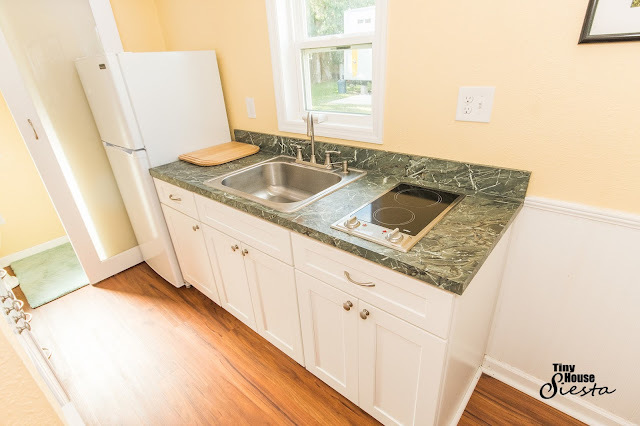 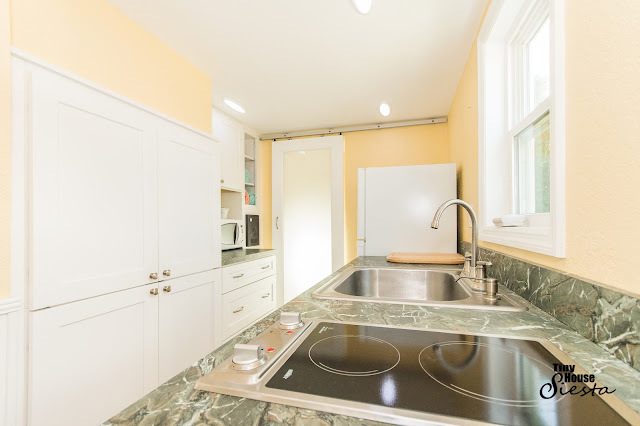 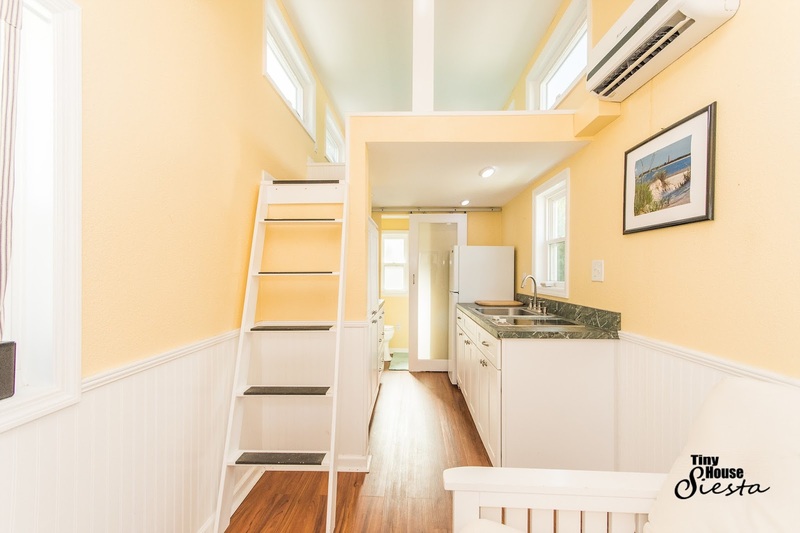 A bright and cheerful tiny house available for rent at Tiny House Siesta resort in Sarasota, Florida! 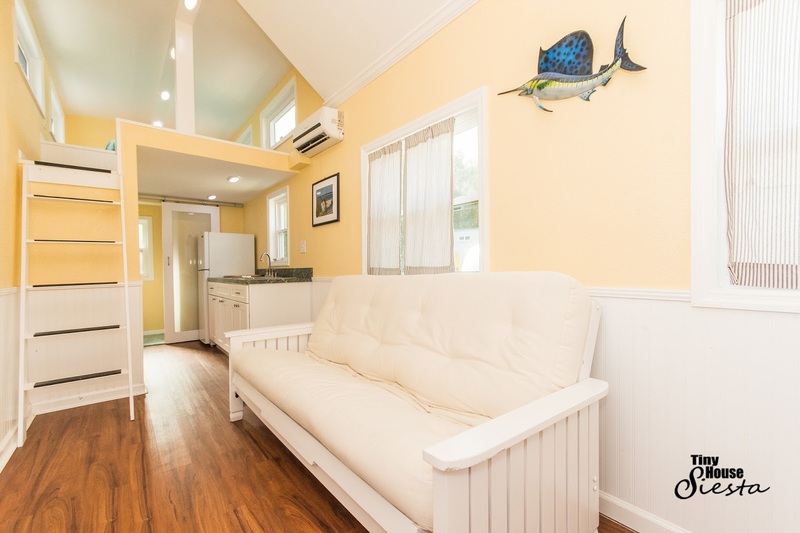 Named the Flamingo, the home is perfect for a solo-retreat or as a romantic getaway. There's a loft bedroom that's accessible by stairs, a full kitchen, a bathroom, and a living room. 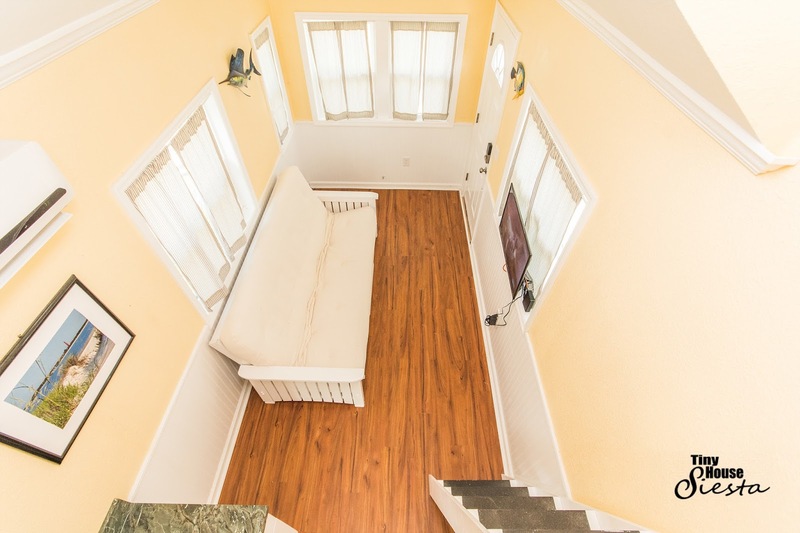 It's also located less than a mile from one of the best beaches in the US, the Siesta Key! 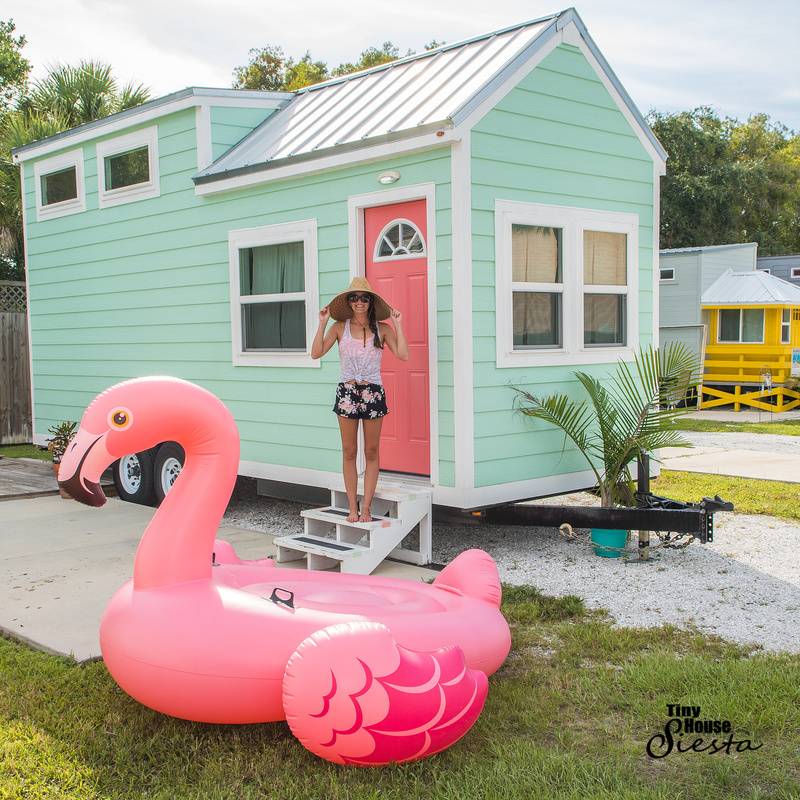 The Flamingo is currently available for sale here for $115 a night! 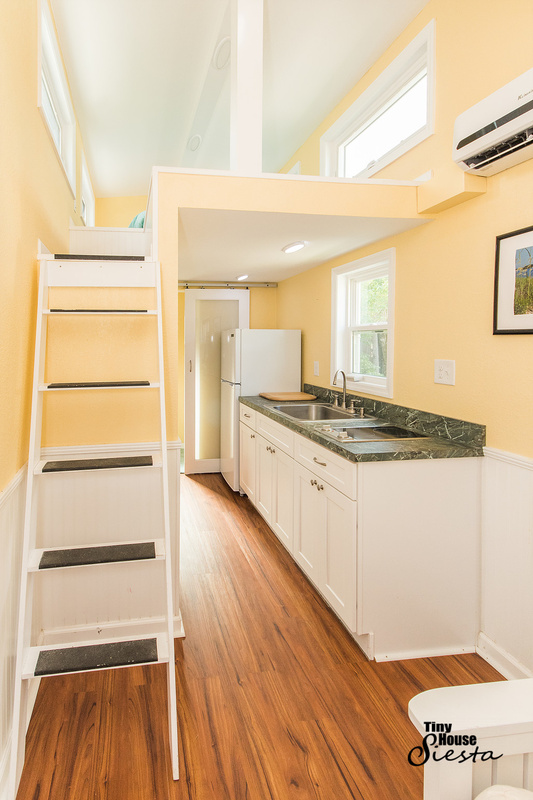 You can also check out these other tiny houses, also available at Tiny House Siesta!